Subscribe to the podcast via the feed, or find us in theiTunes store! 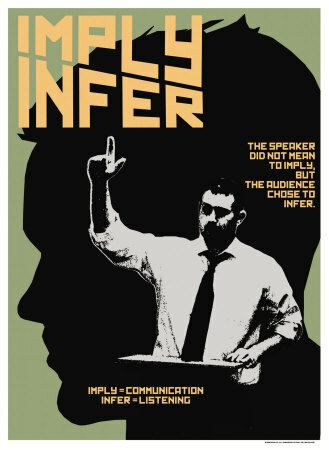 Do you know the difference between the word "infer" and the word "imply," because Craig totally doesn't! All this and more on this week's After the Jump! In addition to Craig's word-troubles, we talk a little more about WikiLeaks, e-book versions of romance novels, foodtubes, and how much we miss Rob.